What's This? KEH Updates Website! 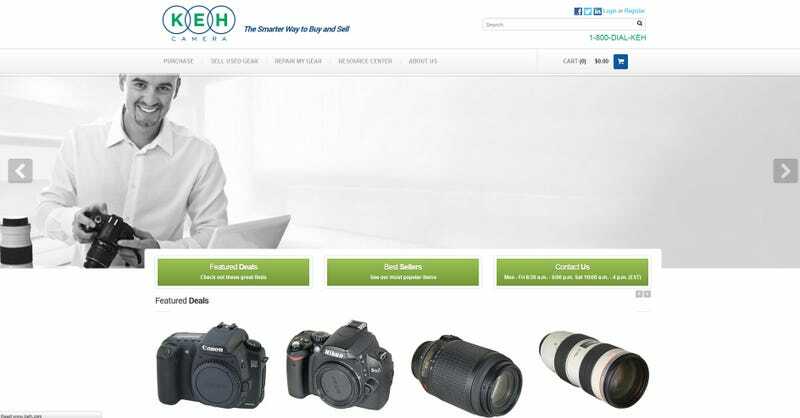 In the first of my morning News Phlash's, used lens powerhouse KEH.com has updated their website! Last night, I was cruising their old, 90's-esque website, in search of some good deals on hard to find, discontinued lenses. This morning I was greeted by this flash to the future. I like the design, but it seems like they've got some infrastructure to update, as the new site is much slower than their old one. If you've never heard of KEH before, take a look, they've got a crazy good reputation, and are very clear on what is included with any particular lens. They're also typically spot on with their assessment of wear.